As spam continues to evolve, conventional on-premise anti-spam solutions are failing to keep up with the ever-evolving spam issue. These anti-spam products often struggle to handle large spam volumes due to fixed hardware space limits. Once the amount of spam exceeds the threshold limits, these anti-spam solutions quickly become overloaded and lag. These on-premise anti-spam solutions also fail to stop spam before it enters the corporate network. With no barriers in place, the company will be exposed to a steady stream of spam emails. A few years ago, spam was the domain of text or HTML-based emails. Spammers used Simple Mail Transfer Protocol (SMTP) to deliver spam messages anonymously. When the popularity of open SMTP relays faded, spammers moved to proxy servers, dial-up services. Spammers design personalized spam email templates and then distribute it through bulk mailing software. To block spam emails, email service providers and organizations often relied on keyword detection. They drew up a list of keywords that commonly appeared in most of the spam emails. While a lot of spam emails blatantly contain the same keywords, spammers are also using newer techniques to evade spam filters. Spam has now become a dangerous threat to businesses with sophisticated and diverse attacks. Let us discuss the benefits of using an antispam solution for your business. With a proactive anti-spam solution, spam emails sent by unknown sources can be filtered out effectively. It saves a lot of time which would have been wasted with the selection and disposal of unwanted spam e-mails. One of the most significant forms of email threats are phishing attacks. Phishing attacks are a type of cyber attack in which cybercriminals pose themselves as a genuine person or organization to get access to data from the user and the company. By using Antispam, companies can considerably enhance their security as it prevents the spam emails even before they reach the inbox. Almost every successful organization has an effective email marketing strategy in place and, if you don’t, you should form one. 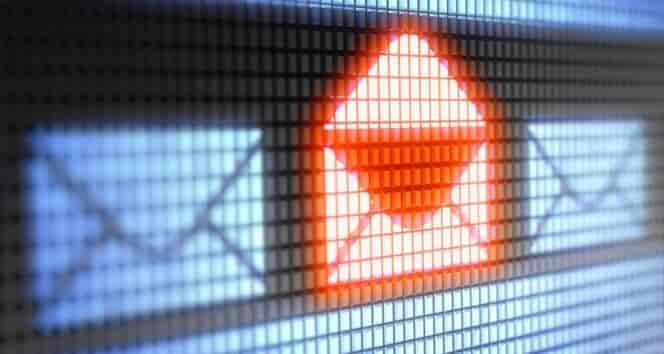 Outbound mail scanning that comes with anti-spam solutions can help you deliver your newsletter to a large number of people. Apart from automatically quarantining the spam emails and ensuring your inbox is spam free, there are many benefits associated with the use of the antispam solution. Comodo Dome Antispam is an enterprise-class antispam solution that zealously protects your inbox by preventing spam emails even before they reach the inbox. Most anti-spam solutions are signature-based in which new and unknown forms of malware go undetected since there is a time gap between the time these new forms of malware threats are released and the time anti-spam software vendors have identified them and updated their signature file. Comodo Dome Antispam comes with Containment technology which wraps unknown files in a container until a verdict is found. While files are in the container, end-users can still operate as usual with zero risk of infection. If you are in search of a strong anti-spam solution for your company, look no further and get Comodo Dome Anti-spam today!